In excess of one hundred thousand immigrants arrive in South Africa each year and many of these immigrants have a need to transfer money back to their home country or another overseas jurisdiction. Below we look at the impact of the exchange control regulations on South African Immigrants making money transfers out of South Africa. For the purposes of foreign exchange an immigrant is classified as “a natural person who has immigrated from countries other than Lesotho, Namibia and Swaziland with the firm intention of taking up or having taken up permanent residence in the Republic”. A declaration must be made as to any foreign assets owned and confirming that such assets will not be placed at the disposal of any 3rd party South African permanent resident. Proof must be provided to an authorised dealer of the residency and they will be regarded as immigrants from the date of entry into South Africa. Where South Africans have been abroad for a period of more than 5 years they will be treated the same as immigrants, provided they formally emigrated when they left South Africa. Existing foreign assets – Immigrants with foreign assets, providing they have completed the required declaration and undertaking, are allowed to dispose or otherwise invest their foreign assets, including foreign cash funds held by them, subsequent accruals and income without interference from the Financial Surveillance Department. Repatriation of Money transferred into South Africa within 5 years of immigration – as long as it is within a 5 year time period (of the immigration) individuals are allowed to repatriate all own assets introduced during this period. It must be proven that the assets were introduced from abroad and not financed with local assistance and that such transfers are not financed out of local financial assistance. Transfer of money out over and above the amount introduced within 5 years – individuals are able to transfer abroad their remaining South African assets, over and above assets introduced from abroad, provided that they are able to prove they are leaving South Africa permanently. Furthermore it must be proven that the assets to be transferred are reasonable in relation to the growth resulting from such individual’s business/employment activities and/or are market related. Such transfers may also not be financed out of local financial assistance. Repatriation of Funds after 5 years of immigration – After 5 years immigrants will be regarded, on departure, as normal emigrants from South Africa and will only qualify for the prescribed emigration facilities, except for immigrants who immigrated to South Africa on or after 13th March 1995, who will also qualify to repatriate all own assets previously introduced/imported. Tax bills where funds are not available abroad. All of our transactions are processed through local banks, that are approved authorised dealers by the South African Reserve Bank. In addition we are an FSB (Financial Services Board) registered company holding all appropriate licences. Our money transfers, in and out of South Africa, are done in strict accordance with money laundering regulations and exchange control regulations and all our transactions are audited in terms of our licence and banking requirements. 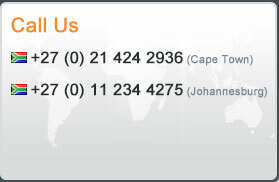 If you are immigrating to South Africa, or are an immigrant in South Africa and have a need to transfer money either in or out, why not contact one of our expert team members. Our advice is free of charge and non obligatory, we save you money and provide you with the full knowledge of how best to transfer your money. Calk us on + 27 (0) 21 424 2936 or request a call back here.